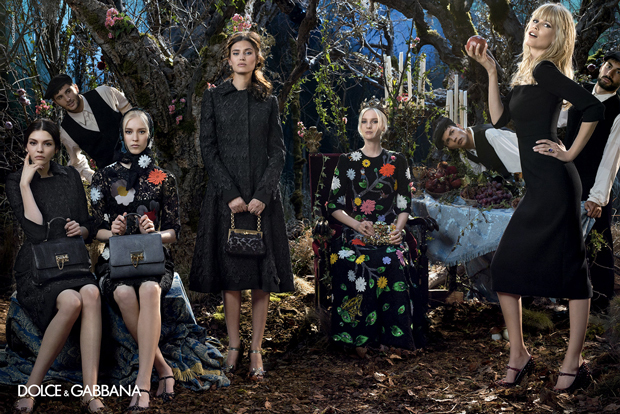 Here's Dolce & Gabbana's Fall 2014 ad campaign. It was photographed by Domenico Dolce and features models Bianca Balti and Claudia Schiffer posing in a medieval forest setting. Aren't you just a tad concerned?